After Los Alamitos passed an ordinance exempting the city from the Sanctuary law, now more cities and counties are looking at joining the Federal lawsuit against California. Orange County voted 3-0 to join the lawsuit just hours after the Orange County Sheriff decided to fight back against the state’s demand that law enforcement not work with ICE officials on illegal immigrants. It’s California pushback, and it may get even deeper soon. 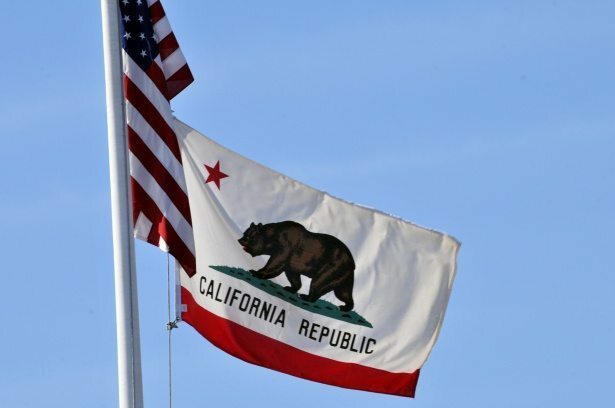 The actions say that three California laws interfere with Federal law, as well as the Consyitution, and places communities in danger from criminal illegals. The Orange County Board of supervisors voted on Tuesday to join the Trump Administration lawsuit against the state. “This legislation prevents law enforcement from removing criminals from our community and is a threat to public safety.” Supervisor Shaw Nelson to Fox News. The Orange County Sheriff’s Office deliberately began posting inmates release dates so that Immigration officials would know when to them pick up. They did so with the knowledge of the exact wording of the California law- but the State Attorney General issued threats against them for doing so. “This is in response to SB-54 limiting our ability to communicate with federal authorities and our concern that criminals are being released to the street when there’s another avenue to safeguard the community by handing them over (to ICE for potential deportation).” Orange County Undersheriff Donald Barnes to the OC Register. But Orange County isn’t alone. Aliso Viejo and Buena Park are also considering legislation and/or joining the Federal lawsuit. Is this a new revolution in the state of California? Are the cities andcounties beginning to wrest their state back from the liberal idiots that have been running it for so long? We sincerely hope that’s what’s happening. The forcing of law enforcement agencies to not communicate with ICE on dangerous criminals indeed does endanger their communities.